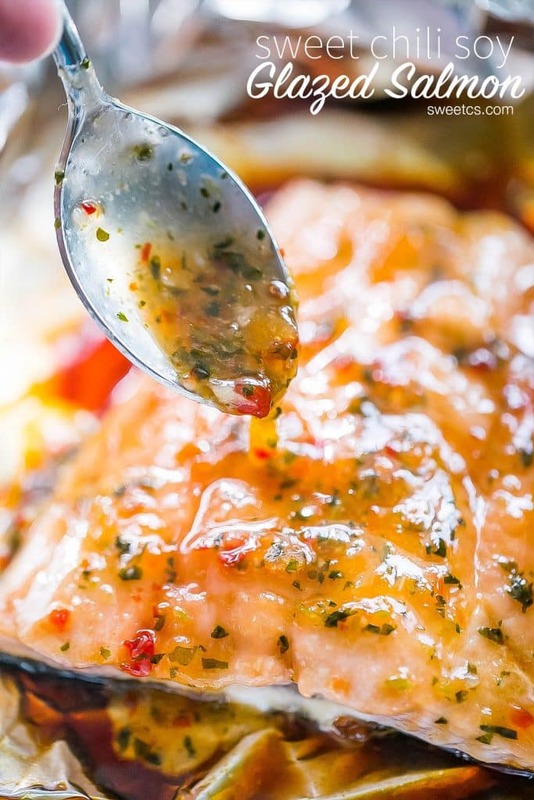 This quick, easy and delicious Sweet Chili Soy Glazed Foil Baked Salmon is an easy family pleaser! No fishy smell or flavor – just a delicious rich fish! 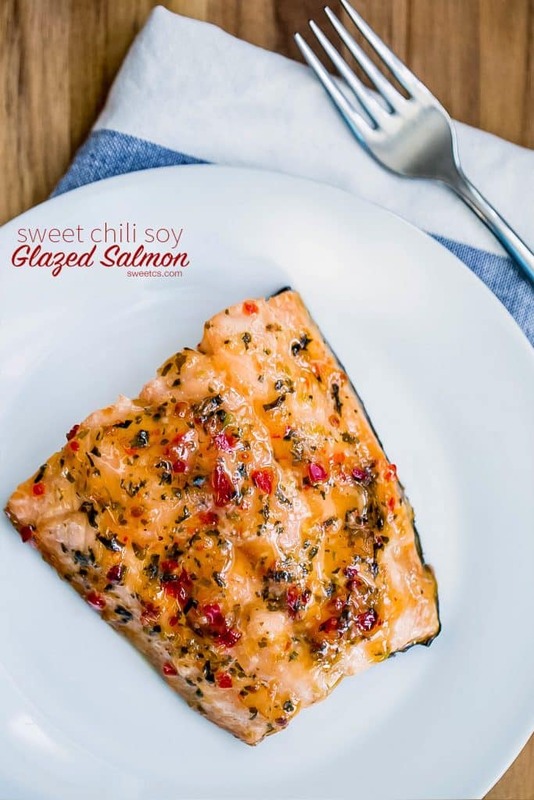 I love sweet and slightly spicy asian inspired dishes- and there is no dish that better compliments sweet chili than a quick baked salmon. Today I am sharing my new favorite asian-inspired fish dish – in a super easy to clean foil pouch! 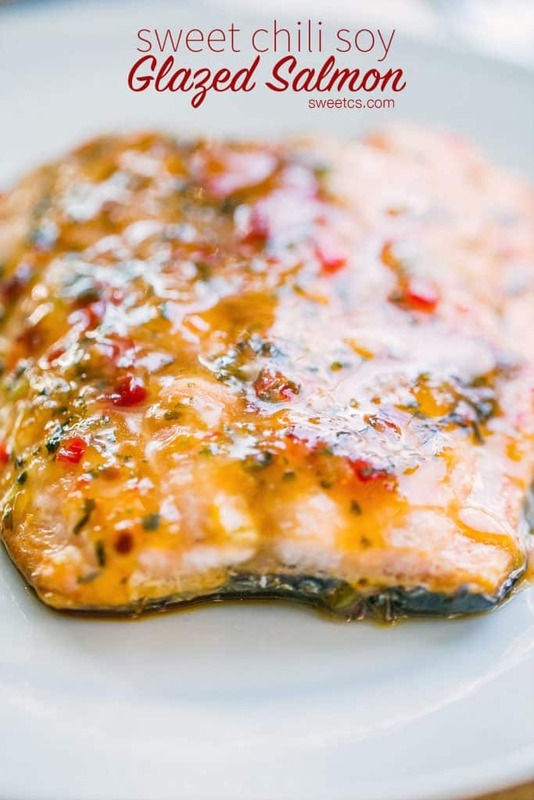 This Sweet Chili Soy Glazed Salmon in Foil recipe is incredibly simple, gorgeous to look at, doesn’t spread a fishy smell through your house, and is perfect for a dinner party – it is elegant, but incredibly easy! Foil pouches are the perfect way to cook fish quickly and easily- and keep cleaning to nothing. Plus, cooking fish in a foil pouch keeps the house from smelling fishy (like pan-frying can sometimes do) and helps marinades soak in without spilling all over! 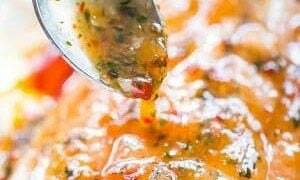 This recipe is so simple- its just place and drizzle. First off, we’re going to drizzle the fish in soy sauce to let it really sink in, and then finish it off with the sweet chili glaze. After your fish is glazed, fold a foil pouch over it, and pop it in the oven until it is opaque, or even until the fat releases slightly. That’s it! I really love this recipe because it has just a tiny hint of spice – so my kids are good eating it. 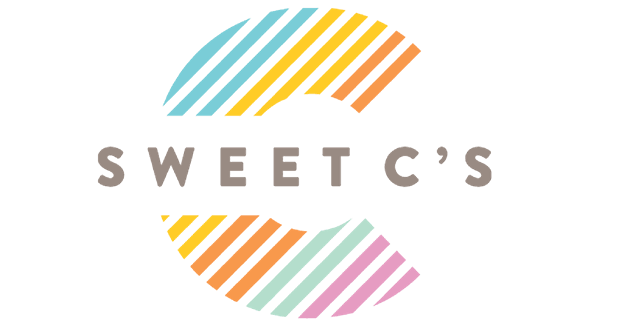 It is also just a touch sweet (let’s face it, sweet fish sounds just plain gross…), with delicious hints of salty soy and garlic. 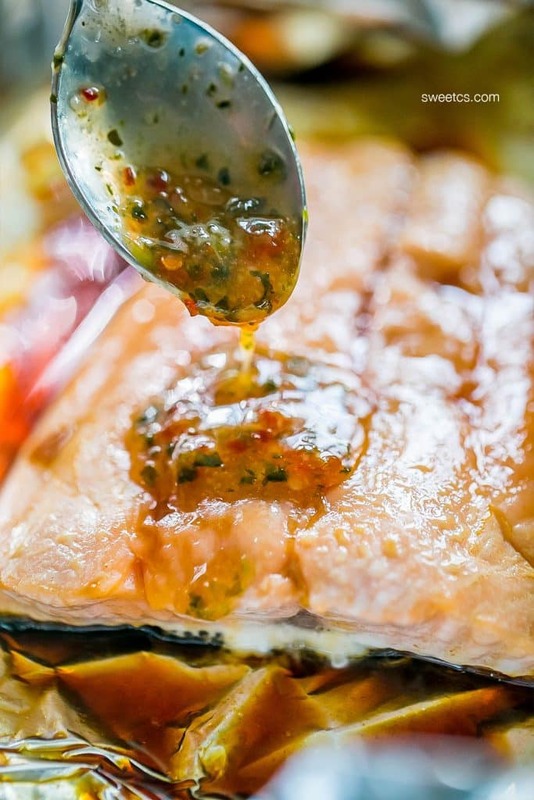 If you love this deliciously simple Asian Inspired Baked Salmon in a foil pouch, you’ll LOVE these elegant, easy recipes! Click on the links and pictures to head to the recipe – or preview the ones with videos below! For my One Pot Garlic Butter Chicken Thighs and Mushrooms recipe – head here! 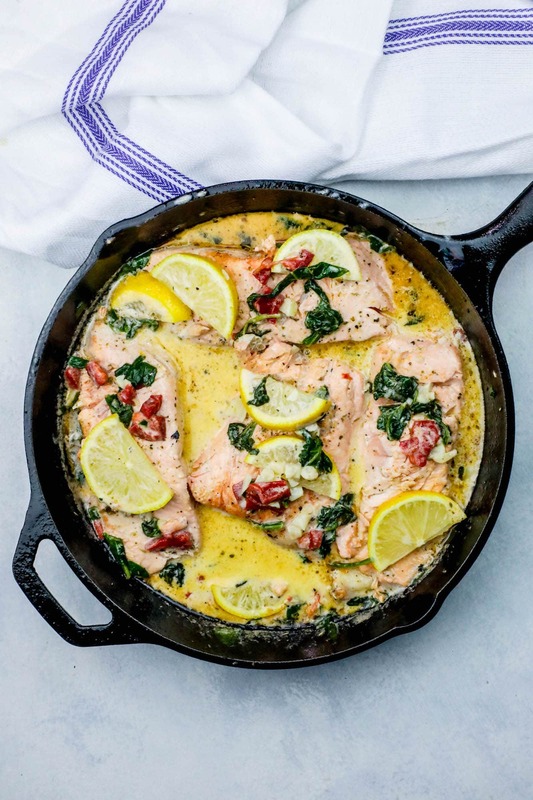 For my One Pot Creamy Lemon Salmon Florentine Recipe – head here! 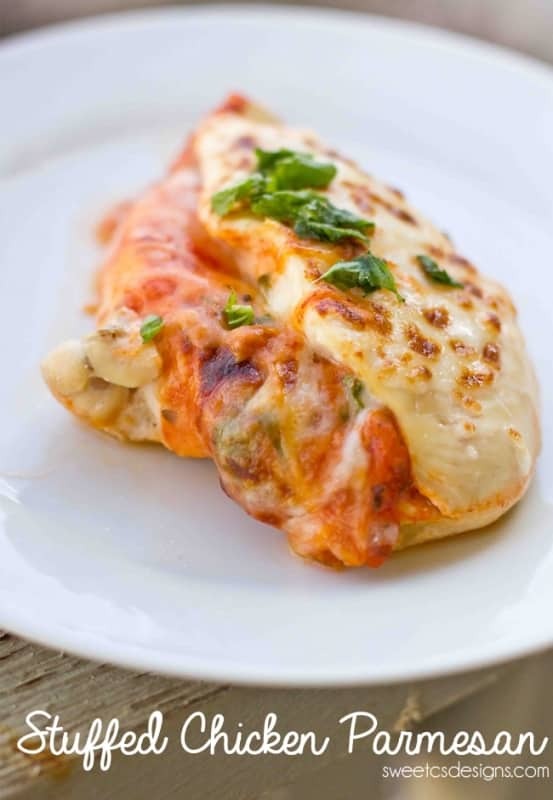 This recipe is crazy low cal- it clocks in under 165 calories and is very low carb! If you’re watching your sodium, opt for a low sodium soy sauce, or even coconut aminos if you’re skipping soy sauce and want a paleo diet friendly dish. This goes great with rice, over a big salad, or even in a taco or fish sandwich! 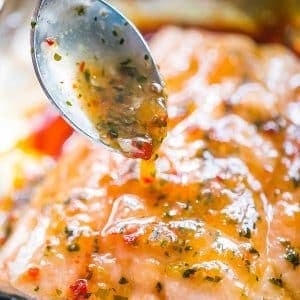 Sweet chili soy glazed salmon baked in a foil pouch - a delicious, easy, and fresh asian inspired meal that is low calorie and a huge family hit! Lay foil down on a baking sheet, enough to fold into a pouch around salmon. 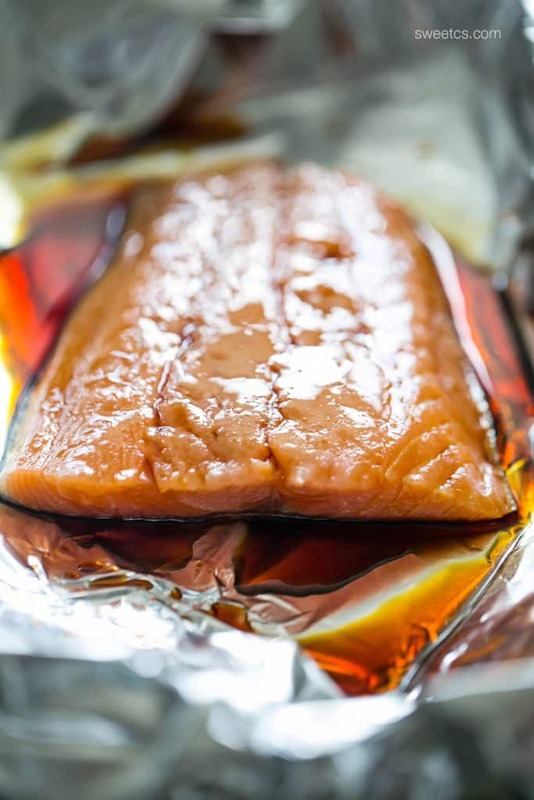 Add salmon to foil, drizzle with soy sauce. Stir other ingredients together in small bowl and top salmon with glaze. Fold pouch around salmon and bake until opaque and just as fish releases white fat- about 10-15 minutes, depending on the thickness of your filet.